Not much walking today, I’m afraid. The weather is cool and wet, and it has been just too tempting to stay home and get some work done. 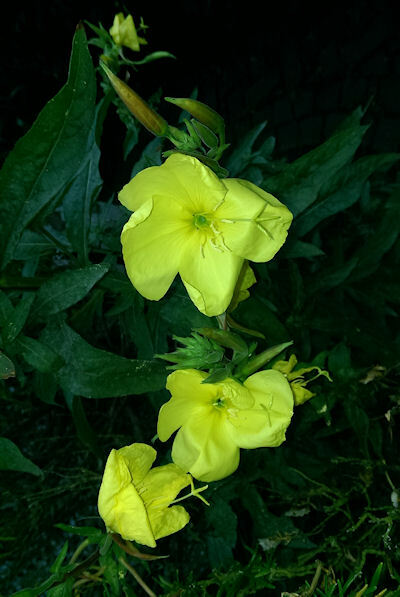 Things will change tomorrow when we head over to Chelmsford for some meetings before we dive into the rest of our week, but for today, I’ll just share this photo of the evening primroses (Oenothera biennis) that are growing in our front garden. The weather conditions must be perfect for them this year, because we’ve never seen them so huge and healthy..